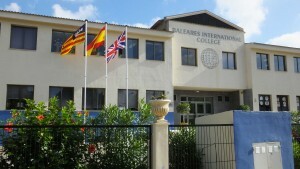 The Baleares International College has been in operation since 1957 and serves the foreign community in Mallorca. Children are accepted from the age of three years and remain at the school until they have completed their advanced level examinations. Teaching staff are fully qualified in their fields, the great majority having completed their training in Britain. The school broadly follows the National Curriculum of England. Located in the Palma suburb of Sa Porrassa BIC occupies a large purpose built site which includes 3 science laboratories, a computer room, art room, music room, drama room and dining hall and possesses a swimming pool , sports field, sports hall, 4 outdoor games courts and a beach volleyball court. A cafeteria on site provides hot lunches and snacks. The academic programme prepares students for IGCSE and A level examinations (CIE and Edexcel) in a wide range of subjects. The College is an approved ABRSM centre for music examinations and is a member of COBIS (Council of British International Schools). It is also accredited by the Spanish Ministry of education based upon inspection by the British HMI, and its academic offering is also suited to the completion of credits towards a graduation that permits pupils to enter universities in other countries. Interested parents should contact the Principal and wherever possible come to visit the school to see the facilities and meet the teachers.